With a good book covering machine you can preserve your books with ease. The dust cover of a book is a fragile piece of paper that offers little protection. With a good book covering machine you can protect the dust cover and the book itself. The Colibri Book Covering Machine is able to cover up to 80 books an hour. They are perfect for public and school libraries as well as any businesses or individuals that have large book collections. Treasure your books with a good book covering machine and keep them in a good condition. We offer a free trial with our fantastic book cover machine so that you can see how efficient and effective it is. This is a great way of seeing what it can do and how easy it is to use so please contact us if you want to give it a try. The Colibri Book Covering machine covers all types of books and publications with durable, polyethylene clear covers. These hard wearing covers are also non-toxic, odourless, water resistant, recyclable and provide excellent protection for your books, ensuring they last a lot longer. Thousands of libraries are now using this book covering system because it is so cost effective and easy to use.Cover up to 80 books per hour saving time and money. 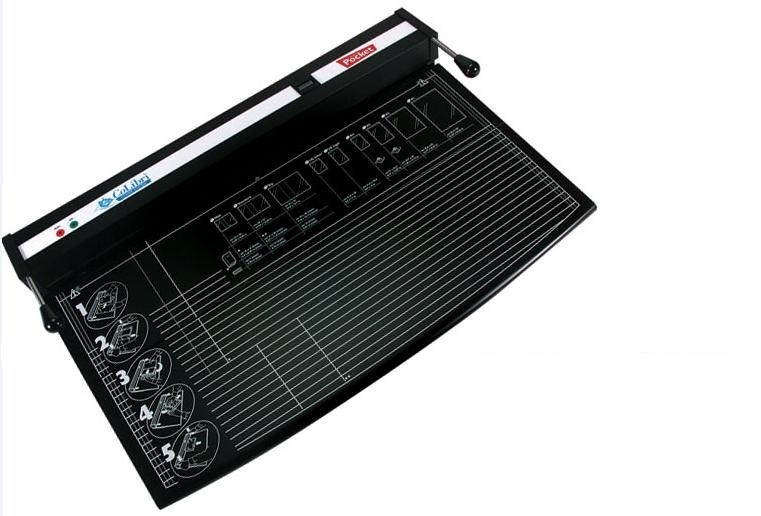 The Colibri System of book covering is easy and safe to use and is ideal for all schools and libraries. PS Office Products, book covering experts. When you need a book covering machine you need PS Office Products. Click on the video below to watch a step by step guide on how to use this machine.